My short story about modern day furies is now priced at $0.99. Get your copy! Mod Fury by H.K. Rowe on Amazon! As always Mod Fury is FREE on KU. Mod Fury – Urban fantasy series coming soon on Amazon! If you get a chance to review it, that would be lovely! You can find it HERE on Goodreads too. Thanks for all the support! Today is the last day, folks! Unbridled is free for today and then will go back to regular price tomorrow. If you have not gotten a copy yet, please go to Amazon and download my debut novel. Summary: Two orphan brothers are taken in by their rich cousins, only to become involved in a dangerous and risque romance with their beautiful daughter. And as each brother falls for her further, dark secrets arise weakening their strong bond. 4 and 5 stars on Amazon! It’s a celebration for my anniversary for publishing “Unbridled” in 2014 on this date. Today through Wednesday you can get the ebook FREE on Amazon. Please if you have not, download the book today! Please enjoy! Unbridled is FREE for a limited time! LIMITED TIME! Unbridled is $0.99 through the Holidays on Amazon! Happy Holidays and Merry Solstice/Christmas! 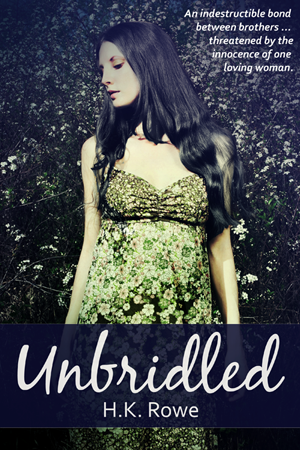 To celebrate the holidays, I have reduced the price of the Amazon Kindle version of my debut novel Unbridled to $0.99! If you have not picked it up yet, now is the time to get a copy. Please enjoy! And drop me a review if you can! Thanks!